Looking for a delicious and thoughtful gift? 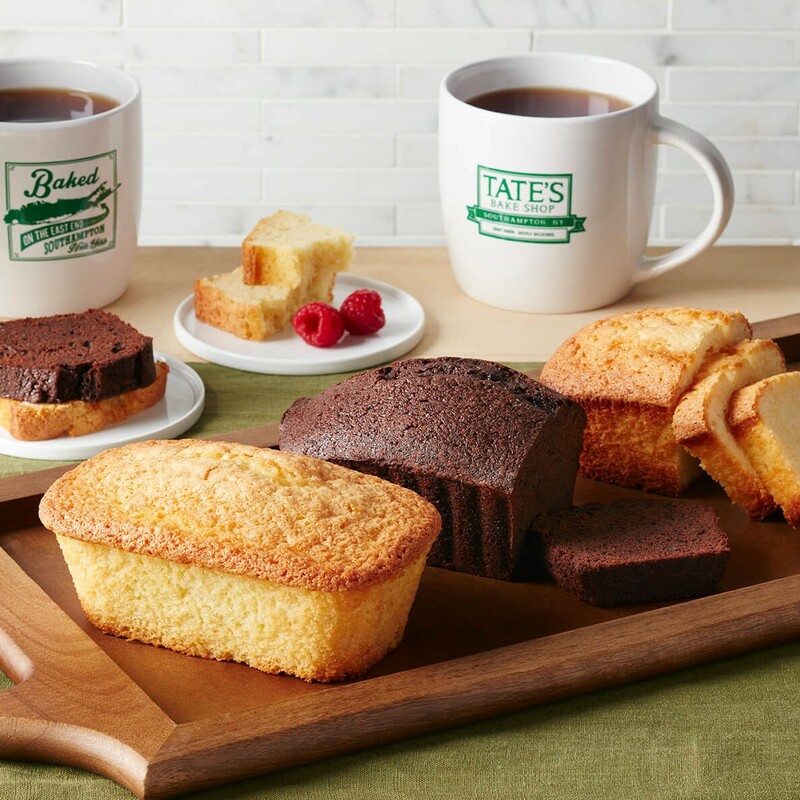 Look no further than Tate's fresh-baked tea loaves. Select any combination of two 12 oz. loaves below, from our tangy and moist lemon loaf, scrumptious chocolate loaf, and rich buttery pound cake. It's a terrific way to show someone you care, so treat them--or yourself-to an unforgettable treat! Reminds me of my moms baking. I live in Florida and I was brought the lemon pound cake as a gift. It is delicious. Will be ordering some for gifts at a later date. Ridiculously lemony. The end game of lemon pound cakes.